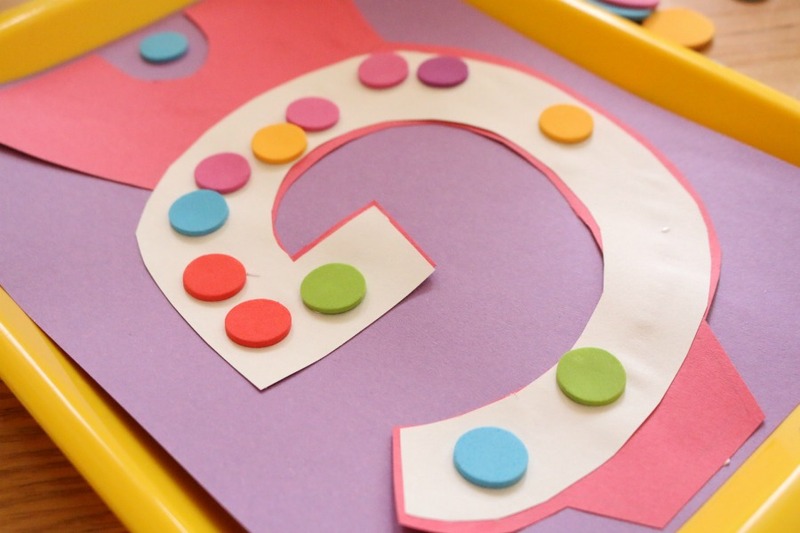 Learn the ABC's by crafting a letter each week! 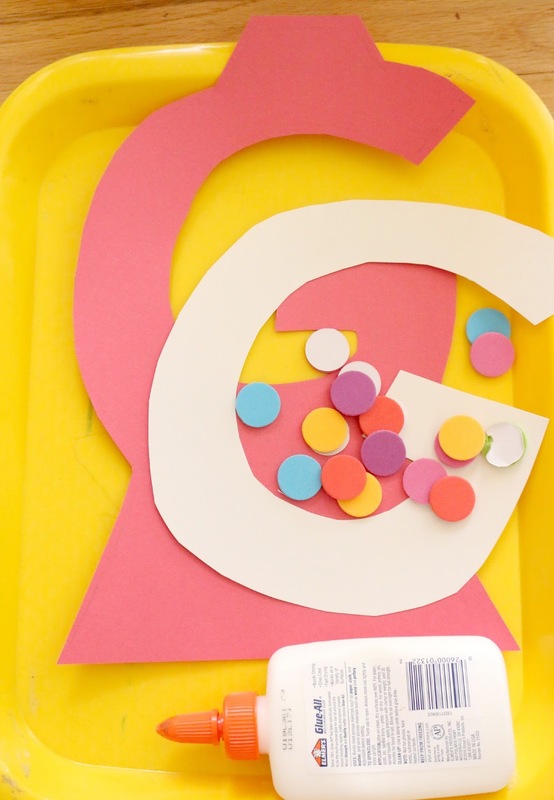 Make this adorable gumball craft for the Letter G! It is a fun, hands-on way to teach letter identification to your toddler or preschooler! 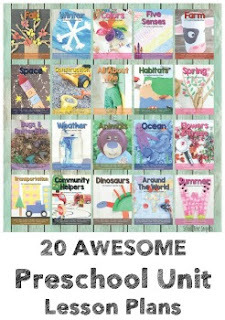 Have fun learning the alphabet by making crafts highlighting each letter. 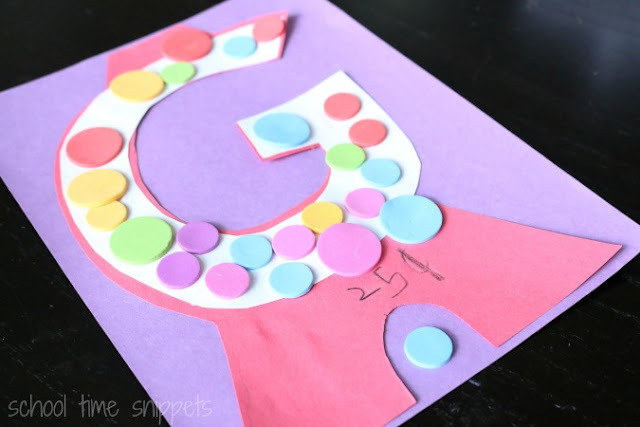 Today we are sharing a cute alphabet craft for the letter G. Our G is for Gumball Alphabet Craft is perfect for your toddler, preschooler, or kindergarten aged child. To prep G is for Gumball alphabet craft, cut two trapezoid like shapes-- one large one for the bottom and a smaller one for the top of the gumball machine from red construction paper. As you can see, we did it a bit differently, but the way I did it in the picture is a bit more involved. 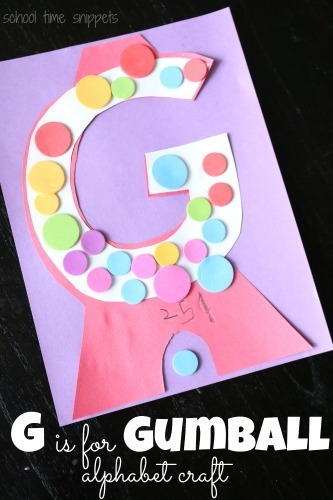 I cut a letter G from the red gumball machine, AND a letter G from white construction paper. However, save yourself the trouble and just cut a large red circle for the gumball machine, and from the white piece of construction paper, cut out a letter G.
Assemble the G is for Gumball craft by gluing the large red trapezoid like shape near the bottom of the another piece of construction paper. Glue the letter G next, then add the smaller red trapezoid shape to the top. Once the gumball machine is put together, start adding the colorful foam circles-- aka: the gumballs! Dot stickers or Do A Dot markers would also work great for this craft, too! Any of those materials will work on fine motor skills! Continue adding gumballs to your machine until satisfied! My toddler and preschooler loved that part! Add some finishing touches like how much a gumball cost and you're all done! Didn't it turn out so cute? !